Very well maintained in the desirable Indian Harbour Beach community of South Harbor Estates. This beautiful 2 story townhome features 3 bedrooms and 2 1/2 baths, over 1600sf, a privately fenced backyard and screened in porch. This beautiful two story townhome awaits new owners. From entry through screen porch and private fenced back yard you will love this home. Beautiful gleaming laminate flooring and tile through out first floor living area. Large eat in kitchen with pass through to roomy living dining areas. Oversized one car garage and ample storage under stairs leading to second level. Upstairs large master with vault ceiling and walk in closet. Two additional bdrms plus laundry and full guest bath. Home shows beautifully. 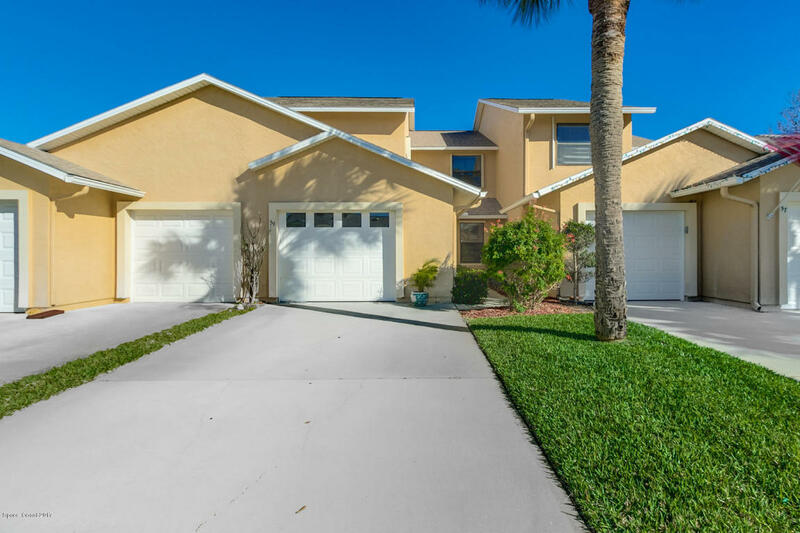 This lovely home is located in Indian Harbour Beach best kept secret South Harbor Estates close to area restaurants shopping and less than a mile to the beach. You wont want to miss the opportunity here. Low HOA fees of $200 month include lawn, pool insurance pest and ext. paint.